Obesity in the United States is a major health issue, costing us $147 billion per year in additional medical care. The Centers for Disease Control and Prevention (CDC) reports 65.7% of American adults being overweight. If you are overweight, you may wonder how to lose weight fast. Do you wonder how to lose weight fast? Read this article and wonder no longer. 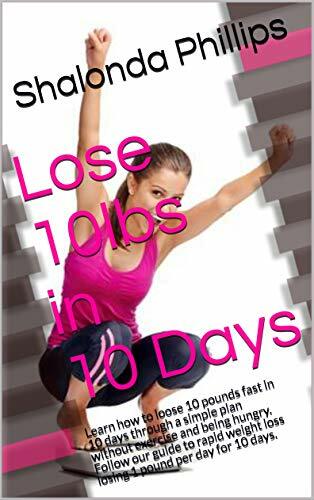 Today you will learn the basics of weight loss, tips on fast weight loss and if there are safe ways to lose weight quickly. Are There Safe Ways to Lose Weight Fast? The basics of weight loss are simple. To learn how to lose weight fast, you need to understand them. Consume fewer calories than your body needs to maintain your current weight. To know how many calories your body needs for maintenance, first calculate your BMR, or basal metabolic rate. This is the amount of energy your body needs when resting while the digestive system is inactive in a temperate environment. There are long formulas to calculate BMR, but most people search Google for a calculator and type their information in. Once you know your BMR, you can calculate your TDEE (total daily energy expenditure). This is the total number of calories your body burns during the day based on your activity level. Say you have a BMR of 1,300. If you are sedentary, multiply your BMR by 1.1 as you will burn some calories throughout the day above your resting burn rate. You can eat 1,430 calories per day and maintain your current weight. If you are very active, multiply your BMR by 1.525. You burn 1,982.5 calories per day. As you lose weight, it is important to remember that your BMR will decrease as it is a function of your height plus weight minus age. The BMR formula for females is (height in cm X 6.25) + (weight in kg X 9.99) - (age X 4.92) - 161. The BMR formula for males is the same as for females substituting a positive 5 for the negative 161. Once you know the TDEE for your current activity level, you can calculate how many calories you need to net each day to lose weight. To lose a pound of fat, you must lose a net of 3,500 calories from eating less, exercising more or both. To lose two pounds of fat per week, you could cut 500 calories from your diet and burn an additional 500 calories from exercise. You don't have to starve or constantly exercise to lose weight, though. Replace 50 oz. of sweet tea with water and row for 40 minutes on an ergometer to net a loss of 1,000 calories per day. We all want to know how to lose weight fast for one reason or another. Maybe you are a competitive indoor rower who is a little on the short side. It would behoove you to drop down to lightweight for the competition. Maybe you are a wrestler who wants to compete in a lower weight class. Maybe the bridesmaid dress you had fitted eight months ago is a little snug. The appropriate question is how to lose weight fast safely, if it is even possible. There are things you can do to lose weight quickly and safely. Eliminate water retention by decreasing your consumption of carbohydrates and salt temporarily. For every gram of carbohydrate you consume, your body stores three to four grams of water. There are four calories in a gram of carbohydrate. If 1,200 of your daily calories are coming from carbs, then you are consuming 300 grams of carbohydrates per day. To transport and store this energy, your body retains 900 to 1,200 grams of water. You are looking at approximately 1.2 kg or 2.65 pounds of water your body is storing in one day from your meals. For the short term, you can reduce the carbohydrates and sodium you consume. This will instantly help you shed excess water weight. Drink an adequate amount of water for your climate, activity level and weight and you have a recipe for easily shedding even more water weight your body is retaining. There are many methods you can use that adress how to lose weight fast. For sustainable results, it is best to make small changes you will stick to for life, one at a time if you need to. Ideally, you will quickly progress to the point where you have made changes to both your diet and exercise. Let's discuss some tips for both. There are two types of exercise: aerobic and anaerobic. Aerobic exercise focuses heavily on your cardiovascular and pulmonary systems. You will breathe heavily and experience an elevated heart rate for a sustained period. Examples of aerobic exercise include running, swimming and rowing. This is great for weight loss but in the beginning, depending on your current fitness level, try anaerobic exercise. Anaerobic exercise is not characterized by periods of sustained elevated heart rate and oxygen requirement. However, lifting heavy weights creates a massive oxygen debt as your muscles are torn apart and need to be repaired. EPOC, or excess post-exercise oxygen consumption, leads to continued calorie burn after exercise. Once you become more fit, you can engage in HIIT, or high intensity interval training. This is usually a combination of short bursts, or intervals, of cardio and heavy weight lifting. There are many ways to cut excess calories out of your diet. The easiest places to cut calories are your drinks - juice, soda, lemonade, sweet tea and alcohol all have calories. Dilute your sweet tea with unsweet tea, replace your sugar-filled juice with water or milk and you will hardly notice the calories you are cutting out of your diet. Skim milk contains fewer calories but whole milk contains fat which will keep you fuller, longer. Start your day off with protein. It will prevent you from craving simple carbohydrates such as refined, processed sugar later on in the day. Your meals should consist of plenty of soluble and insoluble fiber, quality protein and healthy fats such as monounsaturated and polyunsaturated fats. These fats are liquid at room temperature like extra virgin olive oil while trans fats are solid, such as margarine. If you can afford it, eat Greek yogurt for breakfast as it is higher in protein than regular yogurt. Mix in your favorite fresh fruit for a complete meal. Do not purchase yogurt with fruit mixed in the bottom even if it has added fiber. The added sugar in these flavored yogurts are counterproductive for weight loss. More great breakfast options include oatmeal with cinnamon and peanut butter, eggs with black beans, mushrooms, tomatoes, onions and avocados or a livermush and egg sandwich on whole wheat bread. If you are not from western North Carolina, you will recognize livermush as liver puddin'. Many people enjoy calorie-dense or high-volume meals. If this describes you, intermittent fasting may be ideal for you. Humans lived a feast-or-famine lifestyle for nearly 200,000 years. 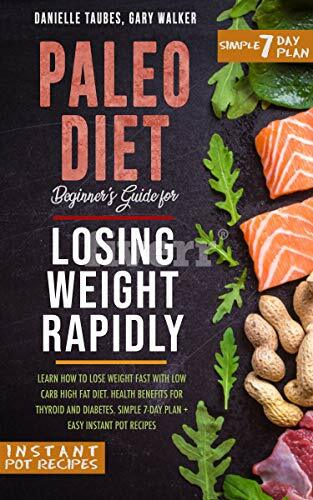 Speak to a registered dietician to ensure you get adequate nutrition, but there are several intermittent fasting options for you to choose from to lose weight safely. 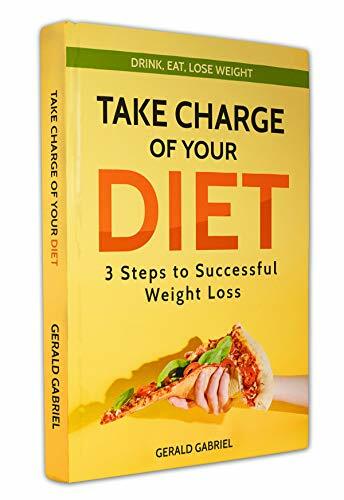 Try eating at 25% TDEE two days per week, 50% TDEE three days per week or 80% TDEE daily with most of your calorie consumption occurring in an eight to 10-hour window. There are many reasons why you may want to know how to lose weight fast. To lose weight quickly, decrease your water retention. Do this by decreasing your carbohydrate and salt intake while drinking an adequate amount of water for your conditions. By drinking adequate water, your body does not fear there is a shortage of water so it will not hold on to it. Shedding water weight is a safe practice and method used by athletes from rowers to wrestlers. To effectively lose body fat and keep it off, make small, sustainable changes to all aspects of your lifestyle. Calculate your BMR and TDEE based on your current weight and activity level. Burn extra calories through anaerobic exercise. As your fitness improves, add in aerobic exercises and HIIT to your workout regimen. By creating an oxygen deficit, you will continue to burn calories for up to 72 hours after your workout. Reduce unhealthy calories from your diet such as simple, refined sugars. Cut your sweet tea with unsweet tea, replace your morning juice with water or milk and reduce the consumption of sodas, lemonade and alcohol. Start your day off right with a high protein breakfast. For a nutritionally complete meal, try to incorporate lean protein, healthy fats, natural fiber and complex carbohydrates. Great breakfast options include a livermush, egg and tomato sandwich on whole wheat bread, an omelet loaded with fresh veggies or oatmeal and peanut butter. Depending on your circumstances, intermittent fasting may be ideal for you. Consume a caloric deficit two, three or seven days per week and seek out advice from a registered dietician to ensure you get adequate nutrients. Humanity has long gone without three square meals per day and unless you have a medical condition, this is an excellent, easy way how to lose weight fast and keep it off. You may just get used to sleeping in every morning and not packing leftover dinner for lunch at work every day.